The last 2 Sacre Noir live shows were a joy to take part in; firstly showing off our stripped-back duo set at The Monarch Bar in Dunfermline then ripping it up at The Safari Lounge in Edinburgh with a full-on electro/rock showcase which featured Phil on guitar. We’ve had a blast over the years playing with many wonderful live musicians in many wonderful venues across the UK & Europe and these are experiences we’ll never forget. From our first live performance at Tam Dean Burn’s Politikal Manifesto night back in 2008 at the beautiful Tron Theatre in Glasgow to supporting Chrysta Bell this summer at Edinburgh’s Voodoo Rooms and all the other crazy shows in Paris, Berlin, London, Liverpool, Gateshead, Glasgow and many more locations… it’s all been amazing! The 2017 tour video will be online soon but in the meantime you can look back at all our other adventures via this playlist on YouTube. One of the highlights of this year’s tour was playing in Paris – you can now watch our 2017 arrangement of Everything We’re Running Away From (Sinking Into Darkness 2012 – Savage Recordings) live at La Cave Cafe in Montmartre, on our YouTube channel. 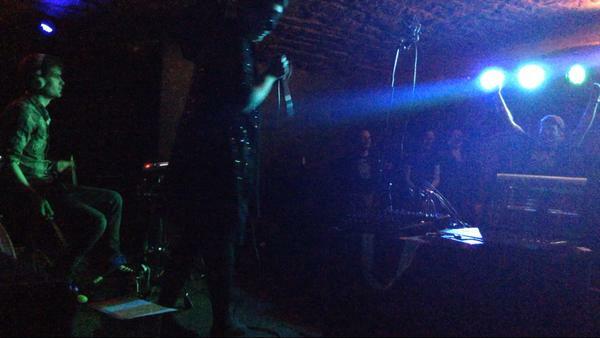 Another Paris highlight was being able to perform something from our E.P. with Canadian artist D.Soul the Soulsamurai (our good friend and label buddy at Dejine:Rec). 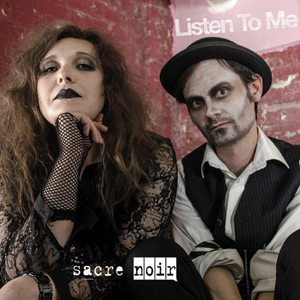 We’ve had some amazing feedback from this release and it’s something that both Alexis & I were super keen to make happen during our final year writing and recording as Sacre Noir. So when we were invited to be the featured artist at Paris Lit Up at Culture Rapide, we decided it would be a perfect opportunity to arrange a performance of ‘Stories Begin‘ from Scattershot. We’ve got a lot to thank the good folks at Dejine:Rec for – they really believed in us at the very start of our journey and it was a privilege to have our music featured alongside some of our favourite music makers (James P. Honey, Asthmatic Astronaut and Marco Donnarumma to name just a few). Over the next few months we’ll have some more videos from this year’s tour, some behind the scenes from our final video shoot (Rebels & Loners – Nothing Falls Apart 2016 – Savage Recordings) and a few other surprises… keep an eye out for new posts on our YouTube, Facebook, Twitter and Instagram pages. 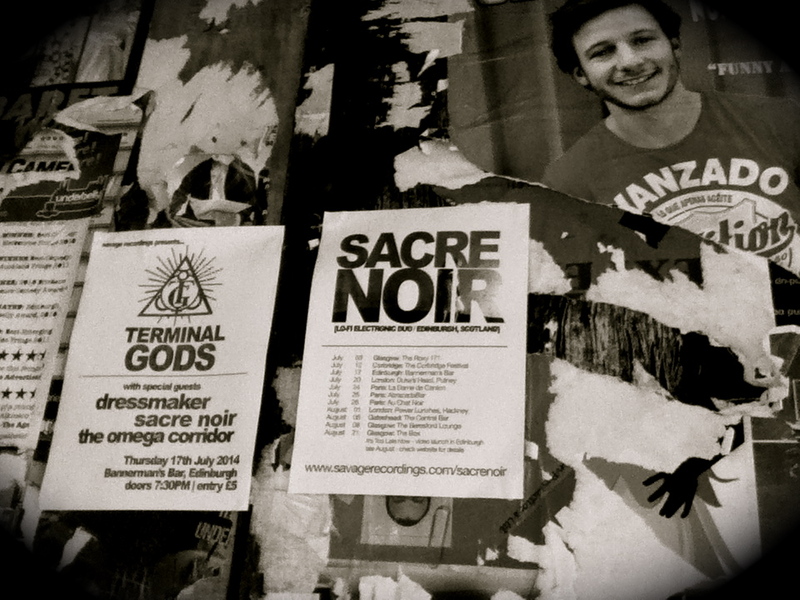 So it has been 4 yeas since the release of the last Sacre Noir LP ‘Sinking Into Darkness’ and in that time we have written, recorded and thrown away enough material for several new records… always stuff we felt was ‘quite right’ and so here we are 4 years later with what we think is the best Sacre Noir record to date. This is going to be Sacre Noir’s final album and we’ve decided to do the physical releases as a limited edition wooden USB drive (100 copies). The drive features wave files and mp3s of the album, plus hand written lyric sheets, set list, press releases and photos. We’ve had the idea for a few years and it’s really exciting to see the final product! The USB is available online from bandcamp & savage recordings or Elvis Shakespeare in Edinburgh & New Hellfire Club in Glasgow. It’s also available to download / stream from iTunes, Spotify, Deezer & Bandcamp. We’re very proud of the outcome & feel each track tells its own story as well as being part of the whole record. Please do check it out and let us know what you think. Inspired by a line in a George Orwell book, this track has had loads of support since it’s release in July 2016 from radio plays and youtube views. The lyrics were built around this quote and Erin did an amazing hair & make up job within the 1930’s inspiration (very different from her usual work with Sacre Noir). 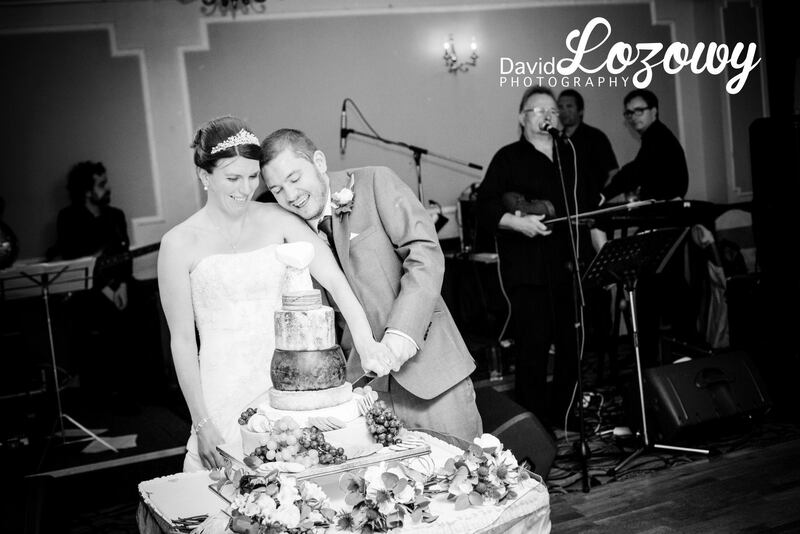 Location is key & our venue, The Biscuit Factory, was a perfect fit for our look and the music. Our annual jaunt to the cities we love, dragging behind us bags and cases of musical equipment, merchandise and clothes has arrived… first stop London. I love London. We love London. Life loves London. My first visit to this amazing city was in the summer of 2011 as part of the first Sacre Noir tour. 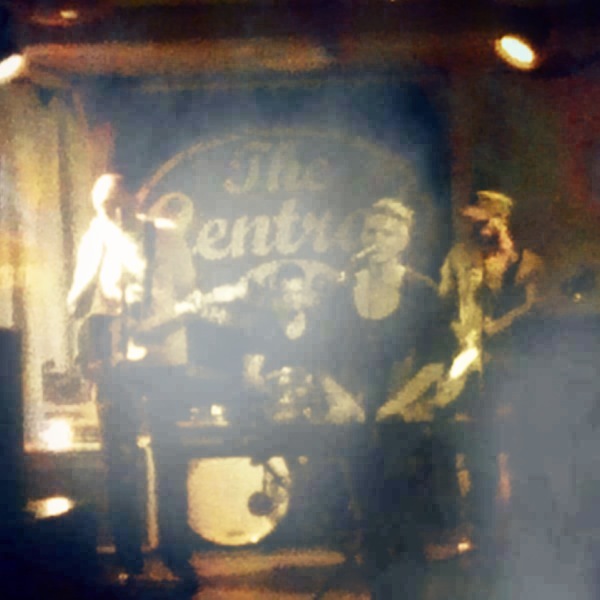 We arrived the weekend after the ‘London Riots’ to play a show in Acton; this was a great introduction to the vibrant culture that thrives in this creative city. 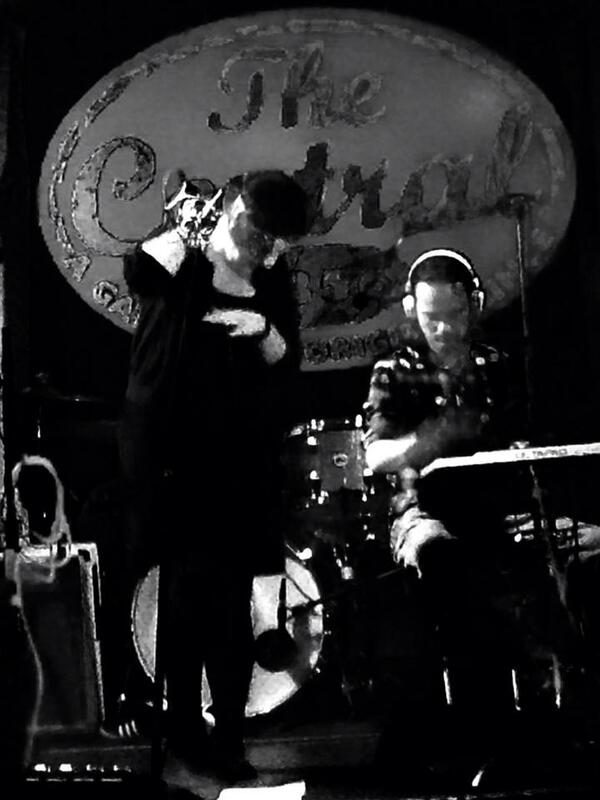 A couple of nights later Sacre Noir played a 2nd London show in the fabulous Vibe Bar (Brick Lane) & I fell in love. So much musical talent and such lovely people, Londoners, visitors and expats alike, I couldn’t believe I’d never visited before. Alexis had been several times as a child and even played at the Garage in Highbury when he was the drummer in semi-cult Scottish alt-pop act Ballboy (favourites of John Peel no less). This year we decided to have a ‘petit tour estival’ (small summer tour) as we’re keen to get home and release the 1st single from the forthcoming EP; so we only have 10 days on the road this year and we’re determined to make the most of it. Today we travel from Sacre Noir HQ in Edinburgh to our home from home at the amazing Ealing Towers. Our host (Joe) has been a true patron of the band and has looked after us every time we’ve come down to play shows. Providing us with beds, beer, BBQ’s, banter and so much more, London would not be an option for us without his help and as a small token of thanks tonight we for Greek; eating, drinking, catching-up and putting the world to rights at Joe’s local on Pitshanger Lane. 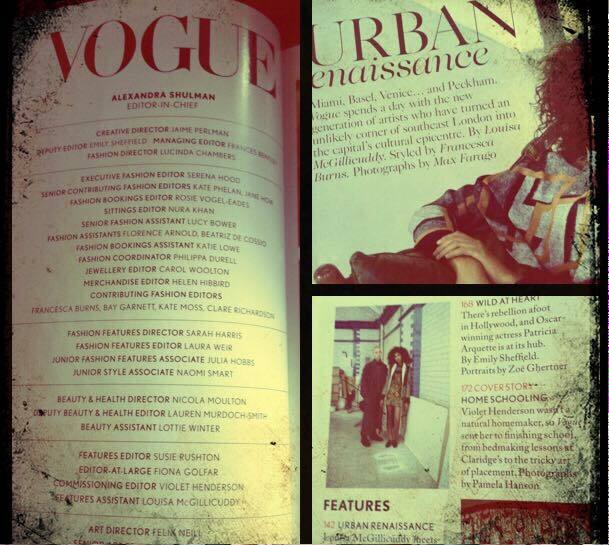 Conversation topic no 1: since our last visit, Joe’s very talented and driven daughter has managed to move from her first job after graduating as the Assistant to the Editor at Vogue, to now having a 15-page spread in the Aug. 2015 edition about Art & Fashion in London’s East End… less than 12 months, I’m super impressed. Tomorrow we play our only London date of the summer; a great line-up of bands at The New Cross Inn. Also coming up this summer we have 2 concerts in Paris and a few very special shows planned for this years Edinburgh Fringe Festival, before we get our heads back into ‘studio mode’ and get started on finishing the 3rd LP. However, before we start on that, let me tell you about recent goings on and exciting things we’ve been keeping secret (unless you follow our social media pages)…the crows are not what they seem. Back in May we had a great photo shoot with Vikki McGraw Photography & Colette Casher Make-Up… this was an amazing day where we captured a few different looks to use for promotional purposes prior to the release of the next LP. 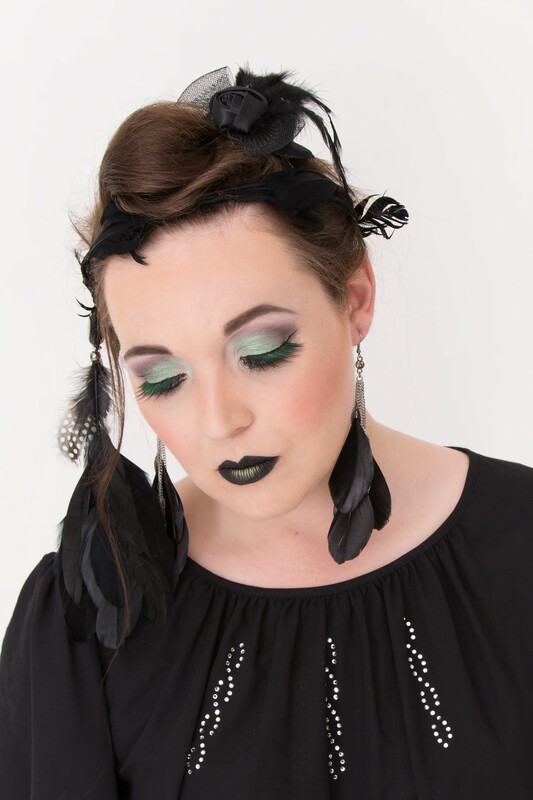 Colette was shortlisted as one of the UK Pro Hair & Beauty’s ‘Makeup Artist of the Year’ Award 2015 after submitting this photo. Vikki & Colette made such a great team on the day and I’d highly recommend working with both these fantastic ladies. Vikki had taken live photographs of Sacre Noir in 2012 and these remain some of my favourites, so I can’t wait to see the final edited shots. We spent the day at La Belle Angele (Edinburgh) filming the companion video to our next single ‘Listen to Me’ with Stephen Young from MeltedBeetle . On hand was our make-up artist Erin Culley to make sure everyone looked amazing; actors Lyndsey and Steven (who both appeared in our last video) did a sterling job and Stephen came into his own with the cinematography. We love Erin & all her work on previous Sacre Noir videos, but this time she surpassed herself and we can’t wait to show you all the results. More about the video process coming soon (press release available on request). 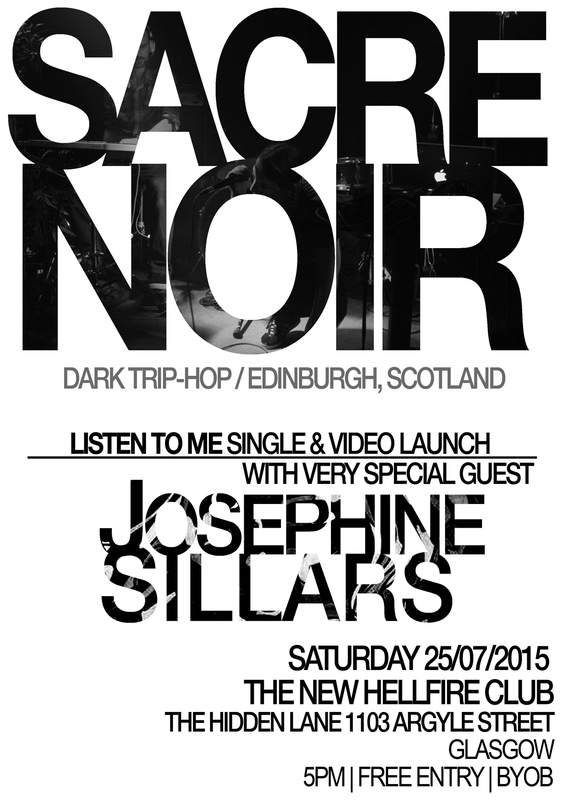 The preview party is planned for Saturday 25th July at New Hellfire Club (record shop), Glasgow. Alongside a stripped back Sacre Noir set of tracks from across the back-catalogue and maybe a special cover, the event will feature a set from the fantastically talented Josephine Sillars plus we’ll have some cake and other small tokens of appreciation as well as the screening of the video (which we’re really proud of). It’s the only way to see the video before the official launch on 31st July and we’ve decided to hand press a limited run of CDs for the lovely people who come along to support us as a thank-you. The single has been mixed by Leonora Winstanley & mastered by Lucius Lowe for Boogs Music. 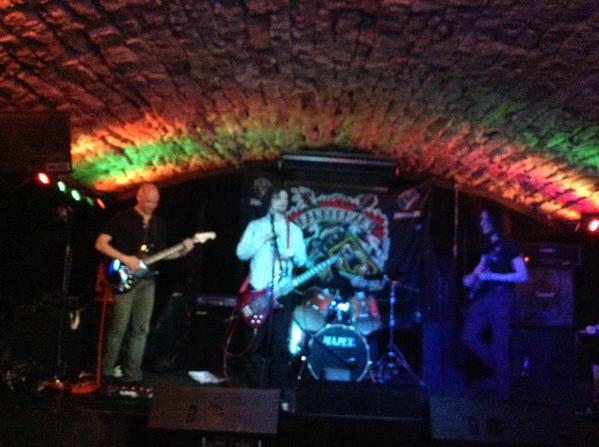 We have booked the release party at Bannerman’s Bar (Edinburgh) for the following Friday night (31st July). This show will be hosted by Fortune Promotions; we plan on turning the back-bar of this unsuspecting Old Town venue into a haven of carnival delights (face painting, video screening, party bags and more). 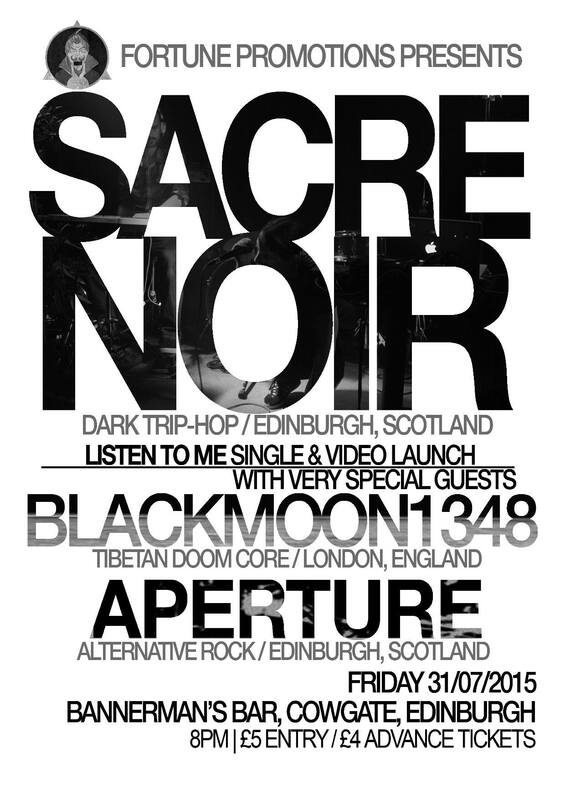 Local support for the evening comes from Alt-Rock act Aperture and we are very excited to have London based 3-piece BlackMoon1348 playing with us at the show – this will be their first gig in Scotland and we can’t wait to show them around our beautiful city. Rumour has it there may be a sneaky Black Moon 1348 video shoot happening on the Saturday after this gig, so keep your eyes peeled for info. In preparation for the duo shows, AlexisSs & I played a pre-tour set at Bannerman’s trying out the new material and new equipment. 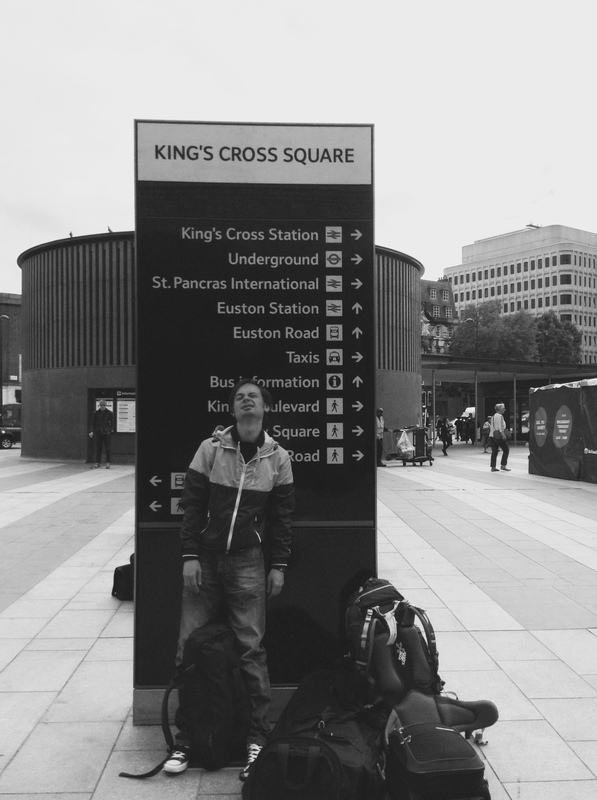 We promise to get Phil to London soon for a full band gig of guitar/vocal/drum/loops-madness. The last time we played at Bannerman’s was at the start of our summer tour last year with London based bands dressmaker & The Terminal Gods, plus our good friends The Omega Corridor (who are also on the bill with us for this show). It’s the first gig for The Omega Corridor since original guitarist, Andrew left last August and they were sounding great. The onstage banter between Steven & Euan (Little Love & The Friendly Vibes front man) was classic, self-loathing and very Scottish. New guitarist Doctor Sandy seems to be fitting in nicely and is bringing his own style to class it tracks like ‘Local Anesthetic’ (my personal favourite for both musical tensions & lyrical style). Everything in our set went really well. We gave it plenty of energy as the crowd was small in numbers but huge in spirit. There were some Lyonnais visitors in the bar who’d come along to see us, so I got to practice my French at the end of the night (we also got a few tips about festivals in the south of France that we may be able to play in the future). New tracks seemed to go down well (the crowd danced throughout our set so it was difficult to tell which was their favourite) and an old fan who was in the audience commented that we seem to have gotten ‘heavier’; the last time he saw us play was at the launch of ‘Battery Powered’ by Lynnette almost 2 years ago, and we were a trio at that gig. I guess the new material does have a certain stomp. We’ve had an exciting start to 2015, writing and recording new material for our 3rd LP, and collaborating with some very talented people for recent photo shoots, single mixing and video making. However, the most exciting news is that Phil got married to his beautiful partner Carol! I urge you all to download her FREE ‘Hazelnuts EP’ from BandCamp, which includes ‘Sandstone’ and 5 other fantastic tracks. Next up were Made Of Glass, my new favourite Edinburgh based band and I was really looking forward to seeing them live for the first time – they did not disappoint. Despite the issues with sound (live music vs Glasgow City Council) and cheap in-ear headphones, their set was really cool. I loved the production of the backing sounds / vocals and although I was longing for the addition of a bass sub, I thought they played a great set. Their track ‘The Night’ was the stand out track of the night for me, however this is as yet unreleased, so instead I’ve chosen ‘Labyrinth’ for it’s pure electro/acoustic goodness. Draped in black, Duncan’s energy is amazing, Nicky’s delivery has a distinctive celtic twang and their face-paint is intriguing. 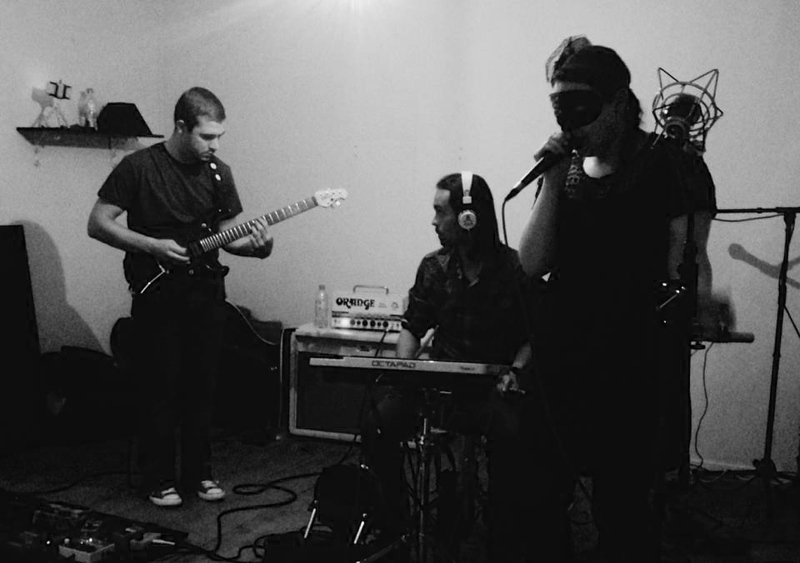 They are definitely a band to watch out for in the future. We played next and it was fantastic to have Phil back with us on guitar after so many shows away without him. Due to the sound (volume) issues, we played what should have been a fairly high-energy set with slight reservation. The venue was not really suitable for a band like us; they seem to have a lot of problems with Environmental Health (residential neighbours complain about the sound pollution on a regular basis) and already have a “no acoustic drum kits” rule in place, which we managed to get around by borrowing an electric kit for the evening from The Academy of Music & Sound. After sound checks were completed there was a “no amps” announcement, which was just not possible for either Sacre Noir or Jen Stevens & The Hiccups, so we’d arranged to turn everything down as much as possible. In complete contrast to the phenomenal bass sound we’d had at the last gig with Phil (Bannerman’s 17th July 2014), this performance was controlled but well received. The people we spoke to afterwards seemed to get where we were coming from musically and we’re positive about the front of house sound, so maybe it was lacking on stage due to the small monitor that the room had. Last up were the fantastic Jen Stevens & The Hiccups. Having travelled over two hours to get here, and on the back of my comments to them about how great the music scene is in Glasgow and what a cool place it is in general, I was really disappointed for them… this was not the introduction I’d hoped we could provide. They played for a good 40 minutes and included my favourite track ‘Middle of the Road’. Everyone in the room was blown away by their set and they have definitely left a lasting impression on those who were seeing them live for the first time. I’d really hoped for a better night for their introduction to Scotland, but at one point just before the end of Jen Steven’s & The Hiccups set, a member of staff from the venue came barging into the venue space shouting “turn it down”. When the repost from a lively audience member came “turn it up”, his response was “no, turn it down, the council are in”. I was genuinely embarrassed by this episode. Apparently the DJ downstairs, who we could hear above the band already, was not causing a problem, but because our space was closer to the residents it was us that needed to turn down again. I have never been so disappointed by a venue and their ability to book appropriate events for their space or their ability to communicate in a professional manner. There are another dozen (at least) issues that plagued this even but I feel enough space has been given to the negatives and overall, despite everything, I did really enjoy all the music on the night and that’s a huge positive. Another positive is that our sound engineer for the evening, David, was great. He stayed calm throughout all the ups and downs, and managed to get a really great sound for all the acts. These two points have definitely been consistent traits of this year’s tour; we have played with some amazing acts and have met some really talented people, who we’ll definitely keep in touch with. We managed to miss the last train home by just a second or two, but thankfully Phil was able to give us a lift home. An hour or so later, soothed by the sounds of Tool and The Prodigy we were back home in Edinburgh and ready for a little break from live gigs for a week or two. We have a couple of shows at the end of the month where we look forward to welcoming Michelle Blades to Scotland. We also have the video launch for “It’s Too Late Now” to look forward to as well as some rehearsals and interviews to complete – there really is no rest for the wicked. After a couple of eventful days off back in Scotland (being stung on the neck by a wasp and the shock of returning to work) it was time to get our selves together again for the next show… our first ever show in Gateshead. We are really excited to have arranged a couple of dates with Jen Stevens & The Hiccups this summer and this is the first of those (not including The Corbridge Festival) on their home turf; the North East of England. 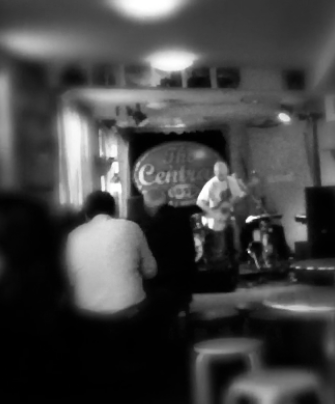 We chose The Central Bar as it’s a lovely venue close to the Metro station and it has a good reputation for live music. The first act on this evening was Ben aka Felix Police; a one man band with his guitar and a bunch of pedals providing bass, beats, harmonies and other cool sounds. I’ve seen loads of acts like this over the years (KT Tunstall and Ed Sheeran do it well), and sometimes the sound can be limited / lacking but not tonight. I really liked his style especially the vocal harmonies and the fullness of his arrangements. Felix Police is a new act (this was the 3rd live outing) but I expect we’ll be hearing more from this fine young man in the future. The overall sound was like a mix between Tenacious D & Beck with a little Pixies thrown in for good measure. You can check out my favourite track from tonight’s set “The Ants & the Elephants” on SoundCloud. Next up we played a 30 minutes set which included all 3 singles feature on the current LP (She Can’t Take It, Rue Crimée and the forthcoming release It’s Too Late Now) plus the two new unreleased tracks that have gone down so well with audiences this tour (Heartache and Rebels & Loners). We had no sound problems this evening in fact everything was perfect (thanks to Tony for sorting everything out for us) and no sooner had we started playing when the set was over. The audience in Gateshead was very polite and reserved in comparison to the crowds in London and Paris; very attentive and seemingly enjoying our material but as it was a sit-down show it was hard to tell just how “into it” they really were, however I got the feeling if they didn’t like us we’d soon have heard about it. Again it was lovely to see some familiar faces in the audience tonight. Special thanks to Sarah & Marie for coming out to support original music (always a pleasure ladies). The final act of the evening was Jen Stevens & The Hiccups; I had forgotten just how tight this band are live! Fabulously catchy tunes, lushous harmonies, fantastic musicianship, big smiles (Adam) and great hair (Jen) – they’ve got it all. I truly love Jen’s voice; like a cross between Stevie Nicks and Gwen Stefani, it’s rocky and soulful with lovely technical moments to catch out the vocal geeks like myself. We can’t wait to introduce them to a Scottish audience this weekend, I’m sure they’ll have a ball. They’ve got a really commercial sound and their songs wouldn’t sound out of place on Radio One: check out their track “The Sound” on SoundCloud. Sorry to have missed the second half of their set tonight, but as the last train back to Edinburgh leaves Newcastle before 10pm, we headed off into the night to the sounds of the Hiccups and made our way back to bonnie Scotland once more. Our next show is in Glasgow and again we’ve been working with House Cat Promotions to arrange this event. It’s a great line up – not to be missed! I discovered Made Of Glass thanks to local Edinburgh musician Steve Heron (best recommendation of the year – thanks Mr H) and they have become a firm favourite on my current playlist. 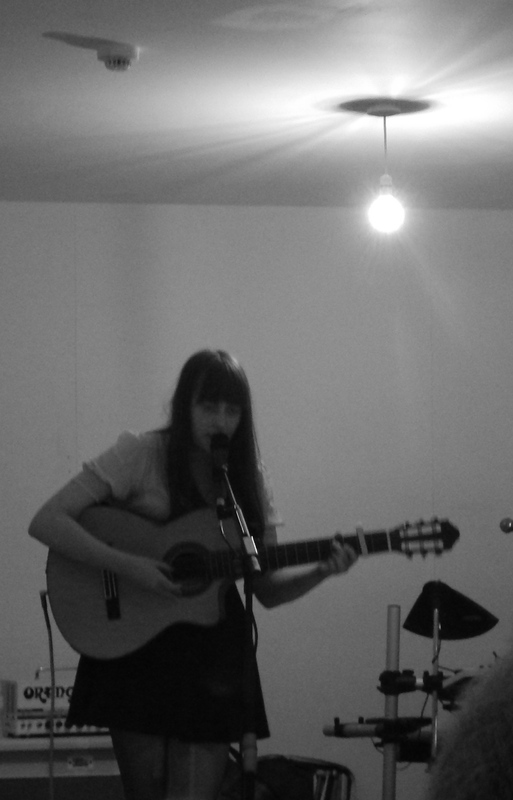 A new(ish) duo based in Edinburgh, Nikki & Duncan are about to set the scene alight! As soon as I heard them I knew they were the kind of band I’d love & set about arranging a show together pretty much straight away. I was super pleased when they agreed to play this show with us in Glasgow as I think they’ll make a great addition to the night. Also on the bill for this show is Chrissy Barnacle – new to me but I’m loving the material online and again can’t wait to see the live show. I hate it when I discover a new act I love, then have to wait ages for their live show to come to Scotland. This way I get to see two great new acts in one night (and we’re sharing the stage) – bonus. Check out the links above for all bands, then come along to the live show… when it’s done it’s done! 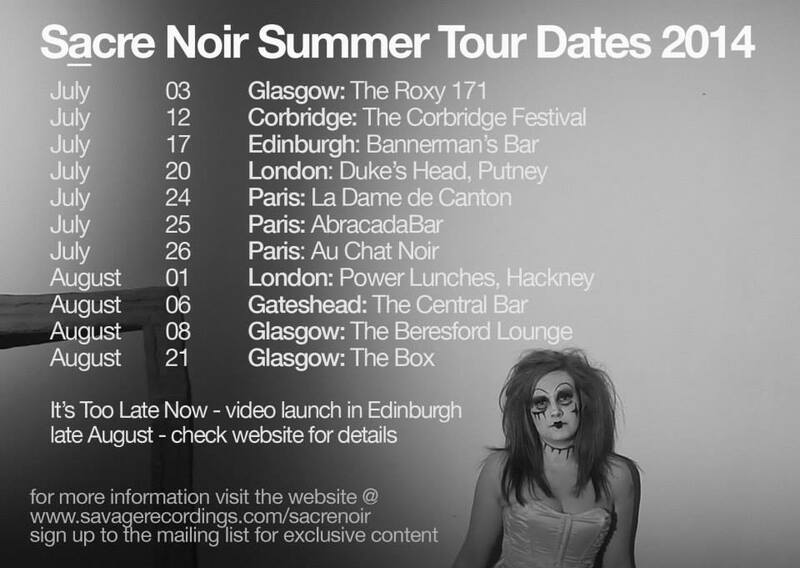 As another summer approaches, Sacre Noir returned to the live circuit with a pre-tour show at Edinburgh’s Citrus Club on June 21st. The gig was set up as a birthday celebration, and local acts (favoured by the birthday girl) turned out in force to show some love. Also on the bill was one of my favourite local riot grrrl acts, The Fnords. I have long been a fan of their surf-punk styling’s but it’s been a really long time since I’ve seen them live and their set was, as expected, fierce. A half-hour set peppered with old and new tracks and full of energy. Other acts on the night included birthday girl Pat’s bands P.A.L, Third Bass (whom she didn’t get to play with on the night due to breast feeding responsibilities) and the Incendiary Bats. I hadn’t seen any of these bands before and was super impressed with the line up. P.A.L have a great track called ‘Alex’ – definitely my favourite of theirs from the night and there were some mighty fine guitar and drum skills on show during the Incendiary Bats set (the bass skills on show during this event were of course evident in all bands except Sacre Noir). We played as a trio & tried out a new original track, currently called ‘Rebels & Loners’ and also our new cover track ‘Open Up’ by Leftfield. The crowd were great! 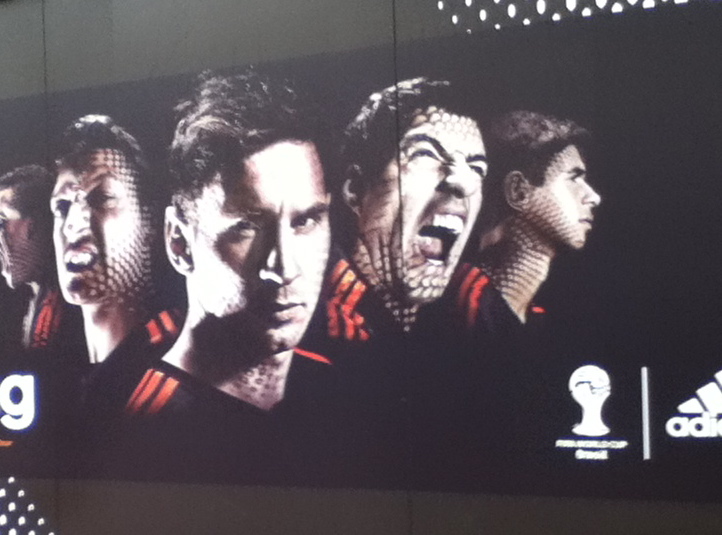 They were really responsive & reacted well to the new additions in our set. It seems like ages since we’ve played live together and it was a great warm up for this summer’s tour. 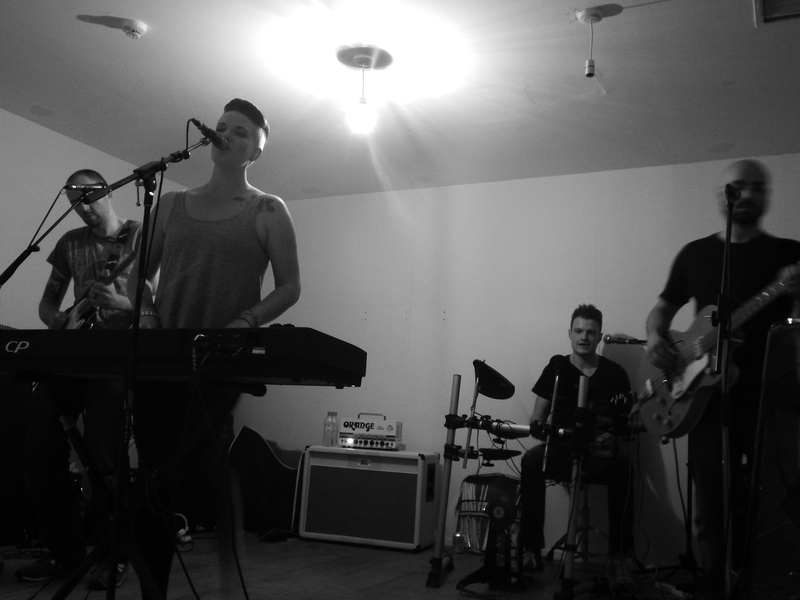 Next up was a super Sunday practice session at Bainbridge Music on Iona Street. We booked in for a double session; 1st up a trio rehearsal for the shows on July 12th at Corbridge Festival & 17th at Bannerman’s Bar, Edinburgh, then a duo rehearsal for the first night of the tour at The Roxy 171, Glasgow. 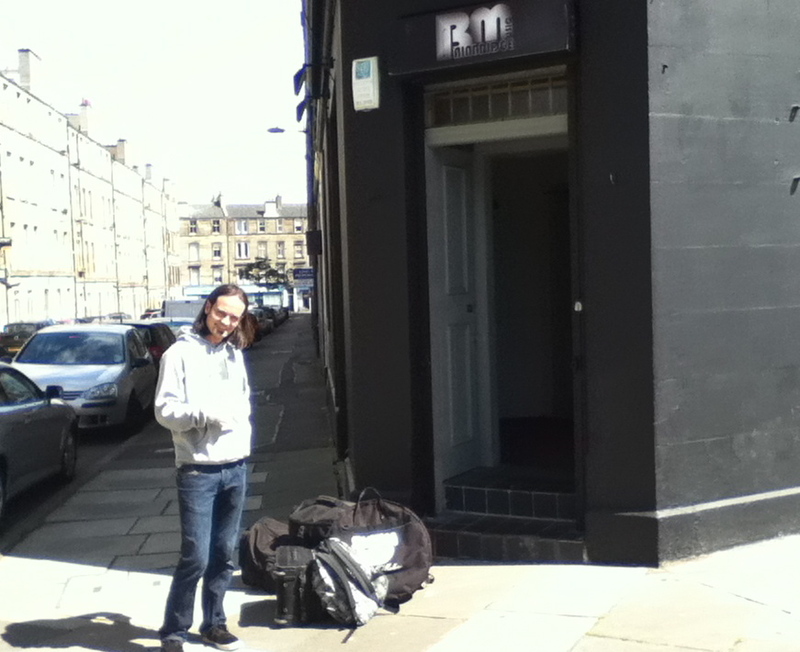 6 hours of rehearsal with a break for lunch at Café Casablanca on Leith Walk and one broken pedal (Phil’s Digitech 2nd edition Whammy – oh no) and I think we’re about ready hit the road. We’ve made some changes to the set up and are planning on unveiling a few new songs this summer, so I can’t wait to kick things of on Thursday with the first of two House Cat Promotions shows we have this summer. HCP are a Glasgow based promotions machine that have put together a great line up for us to begin our summer in style. 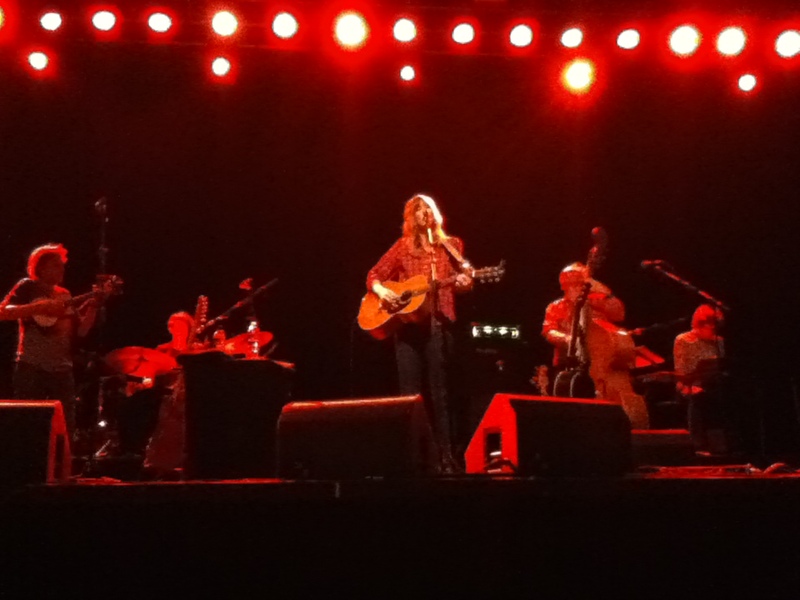 Then Alexis & I went to see the marvellous Beth Orton at the O2 Academy in Glasgow. Last year we saw Amanda Palmer play in Edinburgh before we went off on tour & it provided us with an extra kick of inspiration and this year seeing Beth was not dissimilar. She has decided to play just 3 shows in the UK to promote the re-issue of Central Reservation. Both Alexis & I performed tracks from this LP as part of our final year Degree shows, so it was an amazing experience to watch her perform them live. Her band was amazing; Ted Barnes (guitar), Ali Friend (bass), Daisy Palmer (drums), Sam Amidon (violin – Beth’s hubby) and an amazing keyboard player whose name escapes me, but his and his fellow band mates playing was exceptional. I really liked Daisy’s backing vocals and the general calmness that they exuded on stage was stunning. Track of the night, although I enjoyed every minute of their set, was Devil Song. This was that track I included in my degree show and listening to it performed live, really brought back memories of my college days and why I wanted to be a performer back then. On reflection I’m sure my ideals haven’t changed all that much.